The hydrometer is the universal home brew instrument, use it for checking when fermentation has started, is over and monitor the progress. It is also the best instrument to use for accurate determination of alcohol in wine, beer and turbo yeast washes. Use your hydrometer to measure the specific gravity of your brew, this will tell you if fermentation has started, progressed and later if it finished as it should. You can also calculate alcohol very accurately from your readings. To take a reading, let the hydrometer float in the liquid (ideally in a trial jar, but a bottle or jug can work as well). To get an accurate value, you either need to make sure the brew has the same temperature as the hydrometer is factory calibrated for (it will say so in the fine print on the scale), or (better solution) calibrate the hydrometer before use, it is easier than you might think and changes your standard homebrew hydrometer into a lab quality meter. When you take a reading you need to adjust a little for the "bend" caused by the capillary force. The true value will be at the bottom of the bend, usually 1-2 units below where the wine meets the hydrometer. In the image above, the scale has a line every 2 s.g. units so what you see is a 1004 reading, which would be typical for a sweet white wine. A red table wine should be more like 995 s.g. units (that is the same as -5 oechsle). If your wine contains much CO2 (i.e. still is fermenting or only just stopped) you need to be careful - the CO2 bubbles tend to stick to the hydrometer after a few seconds and then lift it up. Best trick is to give the meter a short spin, then stop it and take a reading immediately. What are the values on the scale? A hydrometer normally shows s.g. units (specific gravity) but winemakers also use oechsle degrees which more or less is the same thing. This is best explained with an example. Say you have a full bodied red table wine that is ready for bottling. Specific gravity is typically 995, give or take a few degrees. That means the wine weighs 995 grammes per litre. Expressed as oechsle degrees, it is -5. This means that it is "5 grammes lighter than water, per litre"
Oechsle degrees = how many grammes over or under 1000 per litre (at a certain temperature). If under, the value is negative. It is important of course to make sure that the temperature of the liquid is the same as the temperature the hydrometer was calibrated for. This is because, when temperature gets lower, the wine gets heavier per litre. So s.g. and oechsle must always be stated at a certain specified temperature, usually 20 C.
It would be awkward for the thorough home brewer to always make sure the liquid moves up or down in temperature to get to 20 C, not only because it might be difficult to change temperature, but also it would mean being dependent on a thermometer which also has a certain error. Fortunately there is a very simple method to calibrate the hydrometer so you can use it at any temperature. Next page: Lets look at the formulas, how to calculate homebrew alcohol using a hydrometer. Homebrew supplies from Hambleton Bard include all sorts of meters such as the hydrometer, vinometers, thermometers and different alcohol meters. 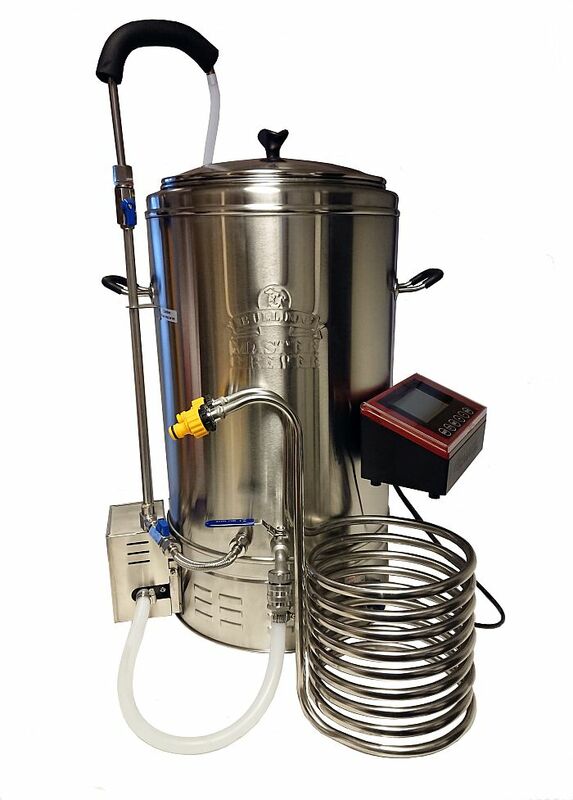 We are experts on accessories for home brewing of wine, beer and for spirit making whether it is from the basic ingredients or from homebrew wine kits, beerkits or high alcohol kits (vodka kits).